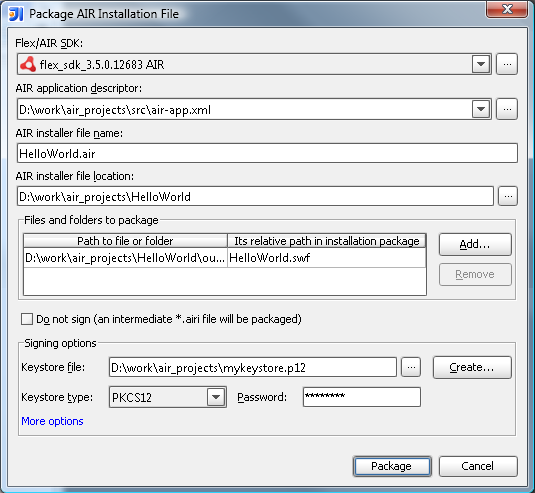 In the dialog you should choose AIR Application Descriptor from respective combo box. IDEA will automatically add required SWF file to package. ‘Create…’ button opens another dialog that allows to generate self-signed certificate. This entry was posted in New Features and tagged AIR, Flex, Maia. Bookmark the permalink. However, I wish that the IDE would remember the paths I add and the location of my .p12 file between packagings.